We are delighted to see our lovely bride Victoria on her wedding day! 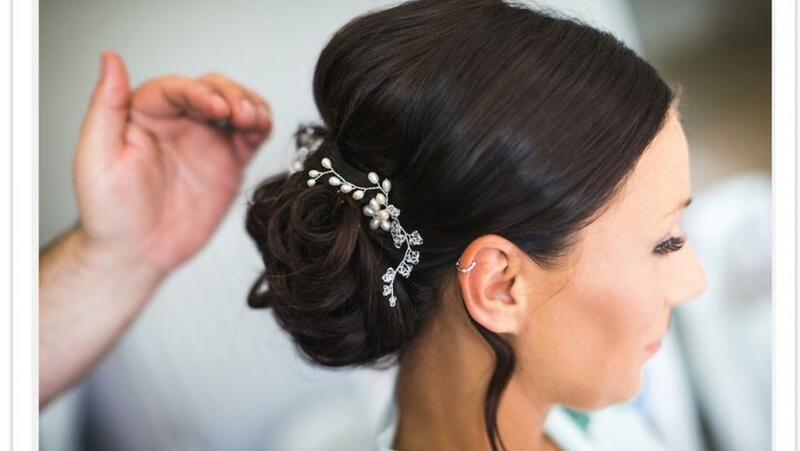 Victoria favoured a bespoke version of Vine and May Blossom Hairpins to match her beautiful hair bun and total wedding look. Lovely hair accessories created by Hermione Harbutt. Wedding photography by the talented Daniel Vernon.